Ross MacLean and Ryan Blair. Picture: Michael Gillen. Stephen Johnston: "Job done lads. Let's be honest nobody gave us a chance when Ray arrived and although there's been some criticism of us sitting back to much. He's put us in with a chance. For example if we attacked to much and lost. We would already be down. Let's be honest Alloa have shocked many a team. After our battling win against Dunfermline. That should give us confidence and that is what we need confidence and prepared to battle. So COYB and all together now." 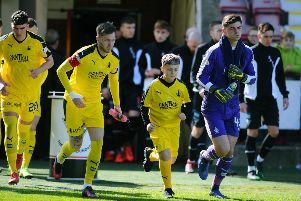 Fans packed out East End Park for the Bairns' big match, then had their say on social media after the win. Picture Michael Gillen. David Morrison: "Here’s hoping for wins in the remaining games." 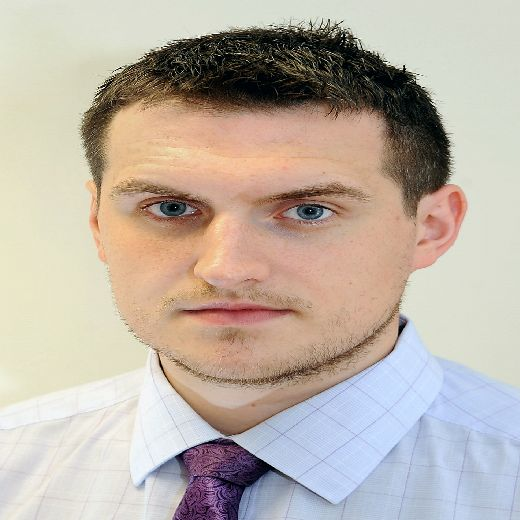 Tom Mayes: "Let’s hope this happens for the next three games. Buzzing. Love you Falkirk." Sam Meldrum: "I like it a lot." Jean Yvonne Kirk: "Both teams poor but hey we got three points, Osman upped his game and thanks for the brilliant penalty save Harry. We still have a chance." Keith Kleinman: "Great result needs more of the same." William Anderson: "Players hung in there and dug out the result. Let’s make it count next week. Hats off to big Harry." Dave Kirk: "Results matter now, and this result matters. We've won as many games at East end park as we have at TFS." Derek Steel: "Tough, nervy match. We didn’t get the rub of the green last 2 matches (dodgy pk & handball versus QOS & Alloa respectively). Today we got it. Deservedly so. The support was absolutely magnificent. We never ever give in. Since 1876." Christopher Nelson: "Honking game to watch but a vital three points." William Jack-bryce: "Probably the biggest result of our season. Expect the unexpected." Grant Elliot: "Nervy and not always great to watch but got the win which is the main thing especially as not had much luck in recent weeks. The 1300 away fans were amazing and never stopped backing the team. Keep the faith and we can stay up. Not impossible for us to still finish above the Pars."